It’s time to talk about laundry. We all have it. It just simply needs to be done. Why not get a system in place that makes it easier? And if you have kids, get them involved! 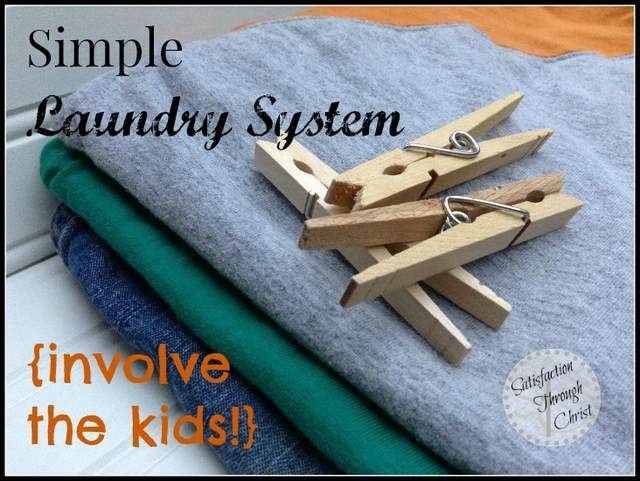 Today I want to share my laundry system that works great with my four kids (soon to be 5 when our adoption is complete!). This is not the only way to do it, but after struggling for several years to find a balanced approach to the mountains of dirty clothes, I would have loved to stumble upon this post early in my mothering years. All the dirty clothes would be put into laundry bins in the laundry room, where I would wash it all as I had time. Then, I brought the clean laundry upstairs and dumped it in a big pile until I had the time and energy to fold, sort, and put it away. Sometimes it stayed in that pile for a day or two (don’t tell anyone). Kids kept getting dirty and making more laundry (go figure!). Repeat cycle. Now, when you have babies and toddlers, this is just life. But, in a few short years, those toddlers turn 4 years old, and you can get them involved in doing their own laundry! (There is no magic age for this – you know your kids. But they usually can handle more responsibility than we think). We’ve been using this system for several years now, and it really does work! I am not overloaded with laundry to process anymore. Freedom! Invest in laundry baskets for each child. We mainly use the tall skinny plastic ones because they take up less floor space. Each child has their basket in their bedroom closet. Each of my boys has a specific “laundry day” each week. 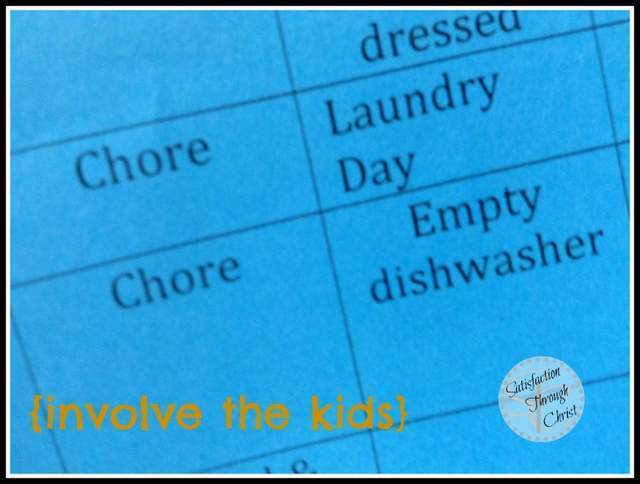 As part of morning chores, the child that has laundry for that day will load their dirty clothes in the washer, put the soap in, and start the cycle. Depending on the day, I may transfer it to the dryer. They will unload the clothes out of the dryer into their laundry basket, then “fold” and put away before bed. I use the term “fold” very loosely. We’re still working on that. But I’d like to think that expecting kids to do their own laundry is a great life skill, reduces my mommy workload, and will make for some very happy daughters-in-law one day! 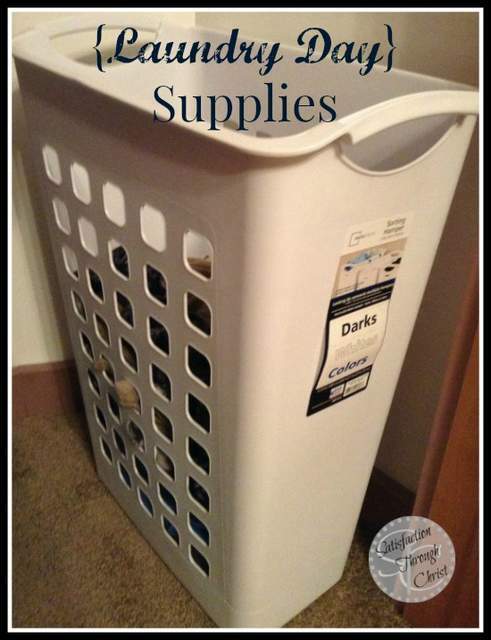 How do you tackle the laundry beast in your home? Share your great tips below. 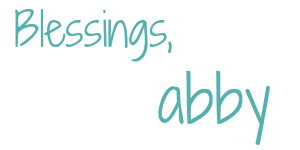 Abby- sounds like a great system! Do they each have only one laundry day per week? Yes, one laundry day per kid, and one laundry day for hubby & I. That means M-F the laundry gets done and none on the weekend. Really freeing when I finally put the kids in charge of their own!